These terrible events did not occur in a vacuum. As explained elsewhere on this website, Indonesia is a recipient of substantial 'war on drugs' funding, something dependent, at least in part, on 'convictions' such as Schapelle's. This is a factor. Australia, however, also has a strategic relationship with Indonesia: a politically sensitive and important relationship on the world stage, particularly with respect to issues such as terrorism. In a nutshell, the stability of the Australian government's relationship with Indonesia therefore trumps Schapelle Corby's human rights (see this Blog Entry). The Australian media have responded accordingly, with a shameful campaign which has attracted severe criticism from many quarters, including Civil Liberties Australia, and the Foreign Prisoner Support Service. 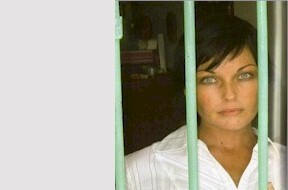 Their campaign, which also generates significant headline revenue for themselves, has harmed Schapelle considerably. Please feel free to take copies of this clip, to promote greater awareness and knowledge of Schapelle's plight. The above video explains the generic process used over a number of years. In due course, we will be adding pages which provide a range of specific examples to illustrate this further. Currently, we have documented the censorship of the global protest, the hounding of Schapelle's father, and the myth buster video. More will follow.